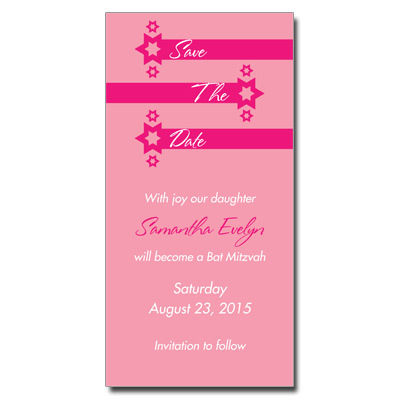 Colorful and sweet, these Hot Pink save the date cards are sure to be a hit at any Bat Mitzvah. Pink background with dark pink stars and stripes with white and pink text. Bat Mitzvah Card measures 3.5x7.